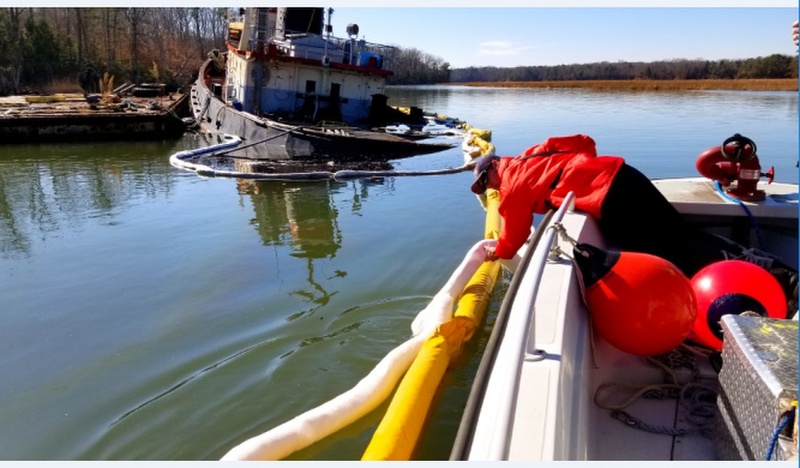 The Coast Guard is working to clean up an oil spill in Newport News, Virginia, where a partially submerged 100-foot tugboat has been leaking oil into the water. 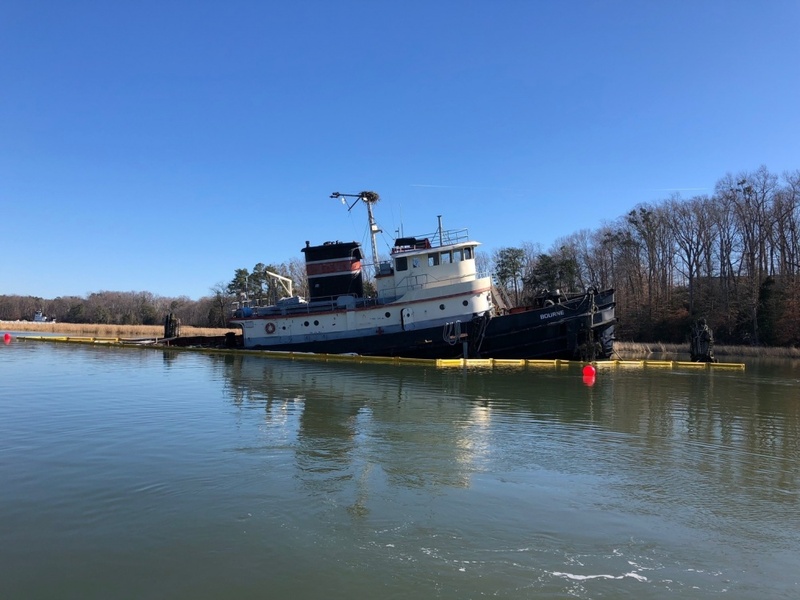 A passing tugboat captain noticed the moored vessel, Bourne, discharging black oil on Skiffes Creek, north of Fort Eustis. A USCG pollution response team from Sector Hampton Roads and the Newport News Hazardous Materials Team responded, deploying a boom right away. The Coast Guard, Newport News HAZMAT, and the Virginia Department of Emergency Management deployed sorbent pads. Only 5 to 10 gallons of motor oil is estimated to have leaked, but things could have been much worse. The Bourne has a fuel capacity of about 21,000 gallons. Whatever fuel is still in the tug's tanks will have to be offloaded. The Coast Guard hasn't been able to track down the tugboat's owner, so the federal Oil Spill Liability Trust Fund is paying for the cleanup.